Hold onto your money in Marvel Comics style! This Marvel Face Off Collection Velcro Wallet features a totally cool grid design with an image of Spider-Man, the Hulk, Wolverine, and Captain America. 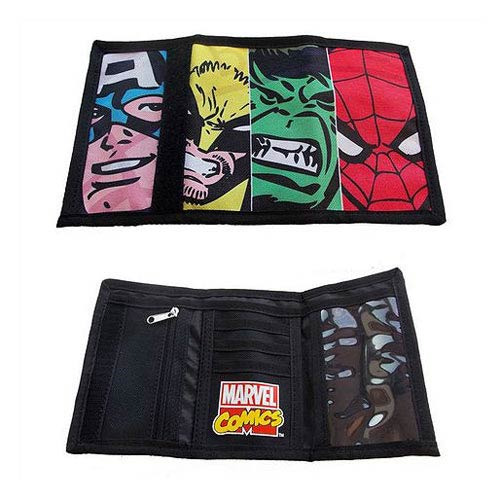 If you're a fan of Marvel Comics, then this wallet is a must-have! Measures about 6-inches long.